It's been a long time coming - the BlackBerry (BB) 10 OS and its flagship device, Z10 were in the works for more than a year. 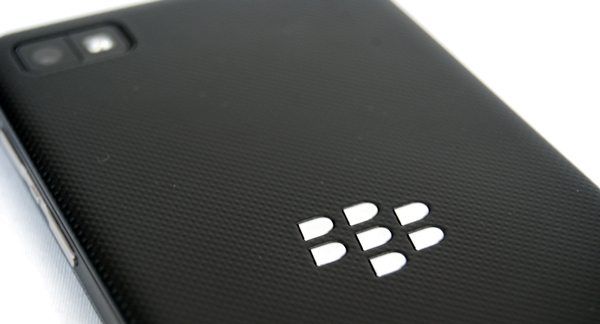 Reports of the first BB device powered by the new OS surfaced in August 2011, when BGR claimed that it had exclusive information pointing to a release in Q1 2012. 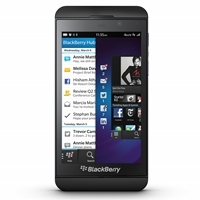 Two months later, BlackBerry (formerly known as RIM) unveiled its next generation OS - BBX (which is later renamed as BB10). Mike Lazaridis, then co-CEO of the company, stated in his conference call that the first BB 10 device would only be available "in the latter part of calendar 2012". Rumors begun circulating that the company was facing problems integrating the new OS with its current network and buying time for a working product to materialize. The allegations were quickly shot down by BlackBerry. In February 2012, the tech world got a glimpse of the first BB10 phone, codenamed London from a leaked presentation slide. The company begun intensifying its efforts to engage the developer community by offering financial incentives. The new CEO, Thorsten Heins delivered disappointing news in June 2012 that the BB 10 OS and its devices will be delayed and only be arriving in Q1 2013. In the meantime, we crossed our fingers that a suitably large app ecosystem is being prepped in the background to help BlackBerry make a successful showing when the devices do get launched. Throughout that entire period, BlackBerry stayed below the radar while its rivals, Apple and Samsung battled for supremacy in the mobile space. Despite the daunting challenges that the company faced ahead of its launch of BB10, Heins remained confident that the new OS will be a success. On 30 January 2013, Heins officially unveiled the BB10 OS and the devices, Z10 and Q10. By then, they were no longer surprises as images and videos of the devices leaked over the Internet in the weeks before the launch. Price and Availability: PhP 29,990 without line contract. Unlike BlackBerry's previous designs for its touchscreen models such as the Torch 9860, Storm 2 9520 and Storm 9500, the Z10 adopts the conventional touchscreen bar form factor that you can easily identify with current smartphones in the market. While BlackBerry offers little creativity in the design aspect of the Z10, the device makes up with its solid build quality. 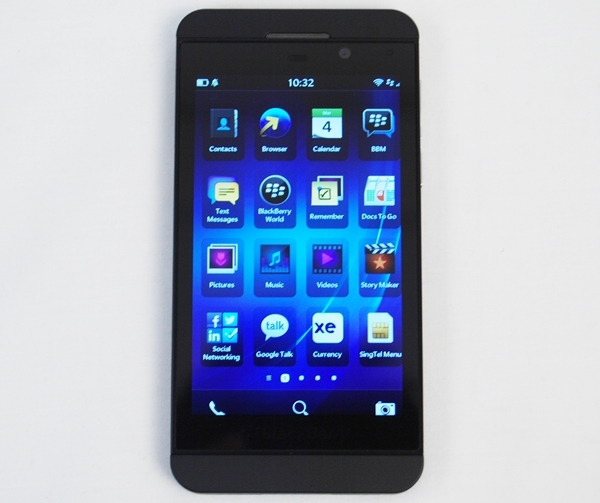 One of the most common feedback we heard about the Z10 is its close resemblance to the Apple iPhone 5. The similarities between the two phones are apparent - the top and bottom section of the device are clearly defined by a dividing line and a slightly different shade of color. However, both devices use different materials to construct their phones. 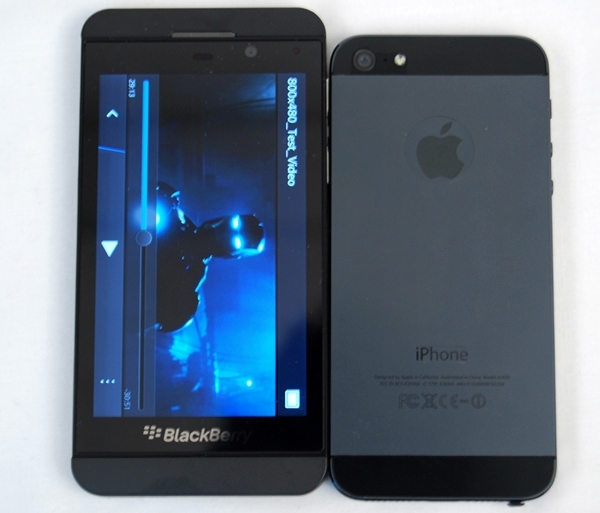 Apple uses an aluminium/glass construct for the iPhone 5 while BlackBerry utilizes plastic. 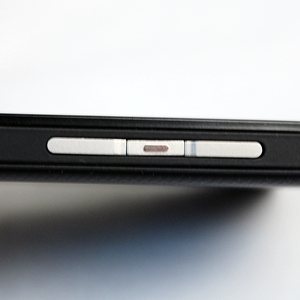 The Z10 also has a dimpled, soft material on its removable rear cover which reminds us of the Google Nexus 7. This provides a nice textured feel and a good grip of the device. 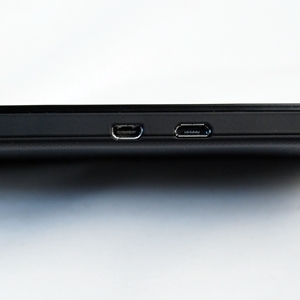 Measuring 130 x 65.6 x 9mm and weighing 136g, the Z10 feels solid enough and not too hefty as a flagship device. As with most flagship BlackBerry devices we've reviewed in the past, the Z10 will feel right at home in the pockets of business professionals - both from the design perspective and with regards to its physical traits.